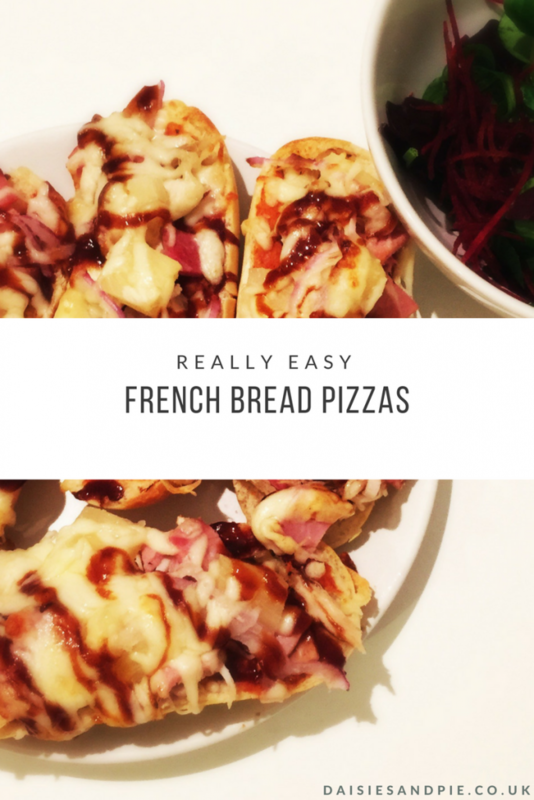 French bread pizza is proper comfort food and great for a midweek dinner or throwing together on a busy school night as it cooks in just 10 minutes. 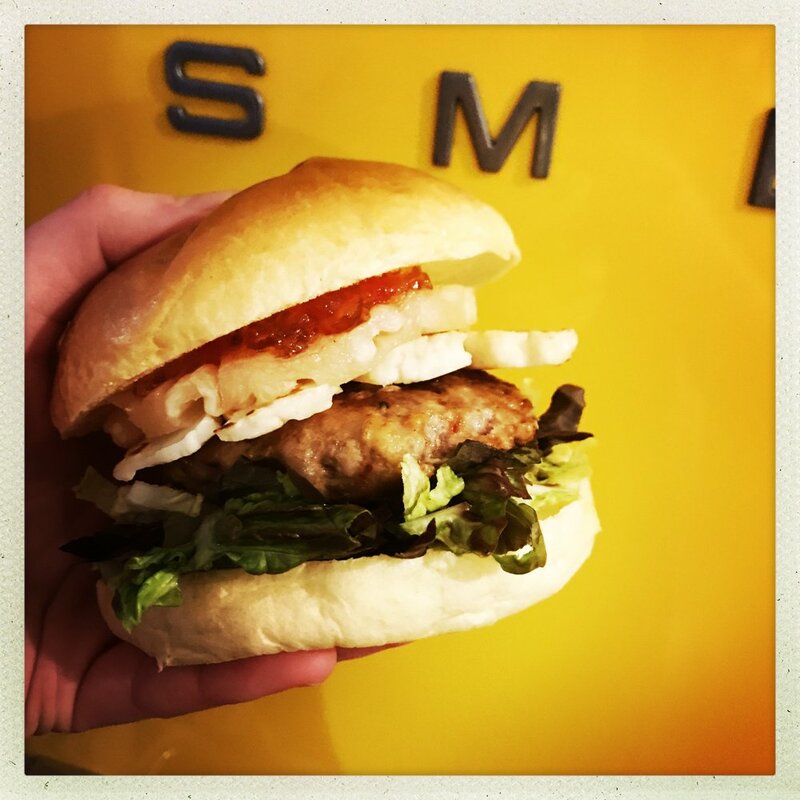 You can vary the toppings and pile on combinations that make your tastebuds tingle. Super quick and easy midweek meal. 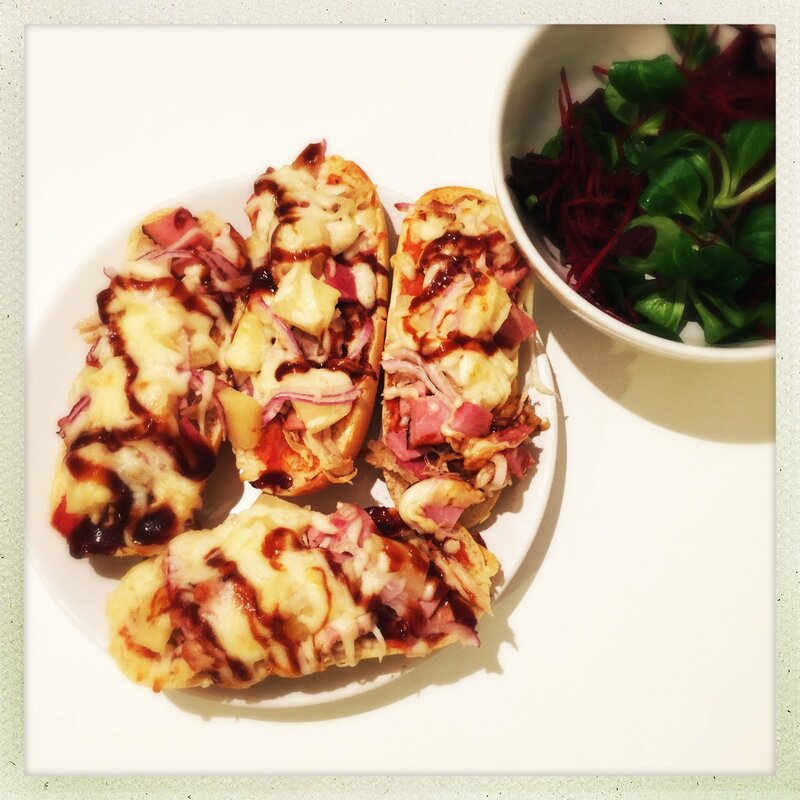 Cut the part baked baguettes in half and load up with toppings - marinara sauce, chicken, ham, pineapple, onions, mozzarella and a squirt of BBQ sauce. Bake in the oven for around 8-10 minutes until the bread is fully baked, toppings heated through and the cheese melting. Go fishy with tuna, anchovies and black olives. Go veggie with jarred antipasti peppers, artichokes and courgettes. Go really cheesy with mozzarella, blue cheese and mature cheddar. Skip the marinara and opt for a layer of pesto with chicken or prawns. Any leftovers taste fab cold next day – wrap in paper and pop them in your lunch box.